ASSF Trustee and Land Rover BAR Team Principal & Skipper, Ben Ainslie is named as newest Ambassador for the Laureus Sport for Good Foundation. Team Principal and Skipper Ben Ainslie kicked off his new role as Laureus Ambassador by inviting a group of youngsters from local Havant project Big World Impact to the new home of Land Rover BAR in Portsmouth. 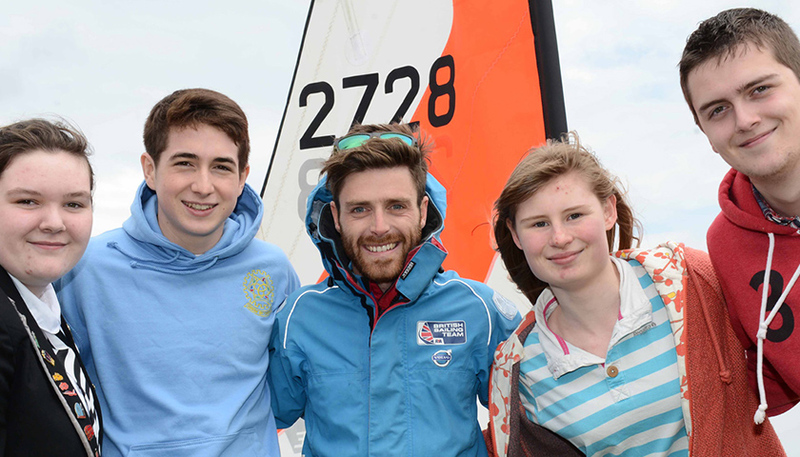 The youngsters, many of whom had never been out on the water before, were given an exclusive sailing lesson from Ben and team members, Paul ‘CJ’ Campbell-James and David ‘Freddie’ Carr. In partnership with The 1851 Trust, which aims to inspire and engage a new generation through sailing and the marine industry, and the Andrew Simpson Sailing Foundation, the youngsters were able to learn about the technical details of the sport of sailing and given an insight into the teamwork required to succeed in sport. Following on from their time on the water the sailors gave the youngsters a tour of the team’s brand new hi-tech base, a showcase for sport, innovation, technology and sustainability, followed by a Q&A session on their careers and what it takes to win four consecutive Olympic Gold Medals. The Land Rover BAR team offered one-to-one advice to the youngsters on setting and achieving goals, and learning life lessons through sport. The event was a resounding success for Julian Wadsworth MBE, Community Engagement Manager at Big World Impact. Ben joins an impressive list of former and current sportsmen and women as Laureus Ambassadors, who, along with the members of the Laureus World Sports Academy, support the work of the Laureus Sport for Good Foundation. The Laureus Foundation uses the power of sports such as sailing as a tool for social change. Its work focuses on helping young people overcome problems such as juvenile crime, violence, drug abuse, discrimination, AIDS and health issues such as obesity. Laureus supports more than 150 projects worldwide. Since its inception it has raised €85 million which has helped to improve the lives of millions of young people. Big World Impact is a small charity making a big impact in Leigh Park, Havant, Hampshire. Leigh Park was the biggest council estate in Europe in the 1970′s and currently has a population of 28,000, with all four council wards in top 20% of index of deprivation.